Description Hampton offers an exceptional opportunity to learn about an important part of American history, our aspirations, our values, and the moral choices we have struggled with through the years. 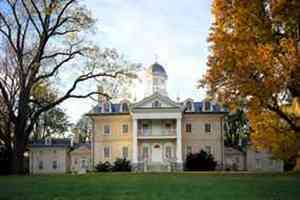 The park preserves a vast estate from the 1700s. Its centerpiece is an elegantly furnished Georgian mansion set amid formal gardens and shade trees. When it was finished in 1790, Hampton was the largest house in the United States. It is the story of a seven generation family business, early American industry and commerce, and changing cultural tastes. It is also the story of the economic and moral changes that made this kind of estate life obsolete. Most of all, Hampton is the story of people -- enslaved African Americans, indentured servants, hired industrial and agricultural workers, and the estate owners -- who made this lifestyle possible. Add Hampton National Historic Site to your free online travel itinerary.